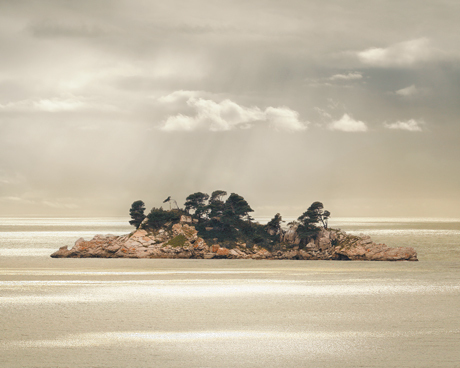 Sea landscape photography in pale gold colors. Island on the sea in Petrovac. This photography is printed on premium archival metallic paper with additional Matte finishes, which coats it from water, UV, fading and scuff damage and no need a glass protection.